How would you rate your experience with Spirit Halloween ? 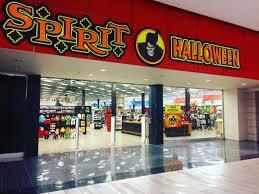 Spirit Halloween stores were founded by Joe Marver, who thought Halloween costumes should be for more than just kids. He opened his first pop-up, seasonal store in the Castro Valley Mall, in Castro City, California, in 1983. Within a decade, he had more than 60 pop-up locations across the country. The company has an online site that offers an enormous number of costumes for children, pets, and adults, as well as both indoor and outdoor Halloween decor. They also rely on empty stores and pop-up locations in malls and other sites to sell their products. Most stores open sometime in mid-August and close a few days after Halloween ends. Spencer Gifts purchased the company in 1999 and has grown the business substantially to more than 1,100 locations, making it the largest Halloween retailer in the nation. It is estimated that the company will earn $9 billion in sales in 2018. 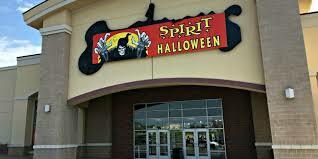 Headquarters for Spirit Halloween are located in Egg Harbor Township, New Jersey. Question 1: What is the phone number for Spirit Halloween? Answer 1: The phone number for Spirit Halloween is (609) 645-5653. Question 2: Who is the CEO of Spirit Halloween? Answer 2: The CEO of Spirit Halloween is Steven B. Silverstein. Question 3: Who founded Spirit Halloween? Answer 3: Spirit Halloween was founded by Joe Marver in 1983. The season is over here in Vacaville, California and I’m ready to file my taxes. When will you be sending out the W2 forms? I’m anxious to get my refund. Please let me know. Want to make sure Spirit Halloween sees your comment or complaint?